The single or double cylinder, low power output engines used in machines such as garden hoe machines, chainsaws, generators, lawnmowers, mini tractors are called general-purpose engines. Each engine manufacturer has engines with its own unique structural designs. The power of these engines generally varies depending on the swept volume. However, when the engine catalogs are examined, the characteristics such as stroke ratio, maximum power speed, and compression ratio are different. In this study, we present a simple thermodynamic model in which the gasoline general-purpose engines, whose swept volume, compression ratio and stroke ratio are different, can be compared by taking into account their performance at maximum power, friction, irreversibility, exhaust and heat losses. For the numerical study, by comparing the physical properties of 10 general purpose engines of 5 different manufacturers, their performance was compared by performing thermodynamic modeling in the conditions where they produced maximum power. The power values in the catalogs of the engines and the power values calculated according to the thermodynamic model were very close to each other and this thermodynamic model was used. According to the thermodynamic model, maximum cycle temperatures, specific fuel consumption and power density of the motors were compared. In addition, the heat balance of each engines is created. Regardless of the brand, model and stroke volume and effective power, engine parameters are examined according to stroke ratio and specific fuel consumption. As a result of the study, the maximum cycle temperature, power density and mechanical efficiency decrease with the increase in the specific fuel consumption and the stroke ratio. However, the increase in the stroke ratio increases the specific fuel consumption. According to the obtained results, it is seen that the characteristics such as course rate and compression ratio as well as simple properties such as stroke volume and engine power are important and effective parameters for comparison. As a result of this study, it can be seen that the thermodynamic model presented can be used to compare gasoline general purpose engines with different physical properties. Bahçe çapa makineleri, zincirli testereleri, jeneratörler, çim biçme makineleri, mini traktörler gibi makinelerde kullanılan tek veya çift silindirli, düşük güç çıkışlı motorlar genel amaçlı motorlar olarak adlandırılmaktadır. Her motor üreticisinin kendine özgü yapısal tasarımlara sahip motorları bulunmaktadır. Bu motorların güçleri genel olarak kurs hacmine bağlı olarak değişmektedir. Ancak motor katalogları incelendiğinde kurs oranı, maksimum güçteki hızı ve sıkıştırma oranı gibi karakteristik özellikleri birbirinden farklıdır. Bu çalışmada kurs hacmi, sıkıştırma oranı ve kurs oranı birbirinden farklı olan benzinli genel amaçlı motorların maksimum güçteki performansları, sürtünme, tersinmezlik, egzoz ve ısı kayıpları da dikkate alınarak karşılaştırılabildiği basit bir termodinamik model sunulmuştur. Sayısal çalışma için 5 farklı üreticiye ait 10 adet genel amaçlı motorun fiziksel özellikleri referans alınarak maksimum güç ürettikleri şartlarda termodinamik modellemeleri yapılarak performansları karşılaştırılmıştır. Motorlara ait kataloglardaki güç değerleri ile termodinamik modele göre hesaplanan güç değerleri birbirine oldukça yakın çıkmıştır ve bu termodinamik modelin kullanılabilir olduğunu göstermektedir. Oluşturulan termodinamik modele göre motorların maksimum çevrim sıcaklıkları, özgül yakıt tüketimleri ve güç yoğulukları karşılaştırılmıştır. Ayrıca her motora ait ısı balansı oluşturulmuştur. Marka, model ve kurs hacmi ve efektif gücünden bağımsız olarak motor parametreleri kurs oranı ve özgül yakıt tüketimine bağlı olarak incelenmiştir. Yapılan inceleme neticesinde özgül yakıt tüketimi ve kurs oranının artmasıyla birlikte maksimum çevrim sıcaklığı, güç yoğunluğu ve mekanik verimde azalma meydana gelmektedir. Bununla birlikte kurs oranının artması özgül yakıt tüketimini de artırmaktadır. Elde edilen sonuçlara göre motorların karşılaştırılması için yalnızca kurs hacmi ve motor gücü gibi basit özelliklerin yanında kurs oranı, sıkıştırma oranı gibi özelliklerin de karşılaştırma için önemli ve etkili parametreler olduğu görülmüştür. Bu çalışma neticesinde, sunulan termodinamik modelin farklı fiziksel özelliklere sahip benzinli genel amaçlı motorların karşılaştırılabilmesi için kullanılabileceği görülmüştür. Ansermet, J. P., & Brechet, S. D. (2019). Principles of Thermodynamics. Cambridge University Press. Arabaci, E. (2018a). Artık gaz kesri ve kurs oranının tersinmez Otto çevriminin performansına ve entropi üretimine etkileri. Avrupa Bilim ve Teknoloji Dergisi, (14), 83-89. Chase Jr, M. W. (1998). NIST-JANAF thermochemical tables. J. Phys. Chem. Ref. Data, Monograph, 9. Diesel, R. (1898). U.S. Patent No. US608845A. Washington, DC: U.S. Patent and Trademark Office. Dobrucali, E. (2016). The effects of the engine design and running parameters on the performance of a Otto–Miller Cycle engine. Energy, 103, 119-126. Ebrahimi, R. (2011). Effects of mean piston speed, equivalence ratio and cylinder wall temperature on performance of an Atkinson engine. Mathematical and Computer Modelling, 53(5-6), 1289-1297. Ebrahimi, R. (2012). Performance analysis of an irreversible Miller cycle with considerations of relative air–fuel ratio and kurse length. Applied Mathematical Modelling, 36(9), 4073-4079. Ebrahimi, R. (2013). Thermodynamic Modeling of an Atkinson Cycle with respect to Relative Air-Fuel Ratio, Fuel Mass Flow Rate and Residual Gases. Acta Physica Polonica, A., 124(1). Ebrahimi, R. (2016). Second law analysis on an air-standard Miller engine. exergy, 2, 17. Ebrahimi, R., & Dehkordi, N. S. (2018). Effects of design and operating parameters on entropy generation of a dual cycle. Journal of Thermal Analysis and Calorimetry, 133(3), 1609-1616. Ebrahimi, R., & Sherafati, M. (2013). Thermodynamic simulation of performance of a dual cycle with kurse length and volumetric efficiency. Journal of thermal analysis and calorimetry, 111(1), 951-957. Ganesan, V. (2012). Internal combustion engines. New York: McGraw-Hill. Ge, Y. L., Chen, L., & Sun, F. R. (2008). Finite-time thermodynamic modelling and analysis of an irreversible diesel cycle. Proceedings of the Institution of Mechanical Engineers, Part D: Journal of Automobile Engineering, 222(5), 887-894. Ge, Y., Chen, L., & Qin, X. (2018). Effect of specific heat variations on irreversible Otto cycle performance. International Journal of Heat and Mass Transfer, 122, 403-409. Ge, Y., Chen, L., & Sun, F. (2009). Finite-time thermodynamic modeling and analysis for an irreversible Dual cycle. Mathematical and Computer Modelling, 50(1-2), 101-108. Ge, Y., Chen, L., Qin, X., & Xie, Z. (2017). Exergy-based ecological performance of an irreversible Otto cycle with temperature-linear-relation variable specific heat of working fluid. The European Physical Journal Plus, 132(5), 209. Ge, Y., Chen, L., Sun, F., & Wu, C. (2005). Effects of heat transfer and friction on the performance of an irreversible air-standard Miller cycle. International Communications in Heat and Mass Transfer, 32(8), 1045-1056. Gonca, G. (2017). Performance Analysis of an Atkinson Cycle Engine under Effective Power and Effective Power Density Conditions. Acta Physica Polonica, A., 132(4). Gonca, G., & Sahin, B. (2016). The influences of the engine design and operating parameters on the performance of a turbocharged and steam injected diesel engine running with the Miller cycle. Applied Mathematical Modelling, 40(5-6), 3764-3782. Gonca, G., Sahin, B., & Ust, Y. (2013). Performance maps for an air-standard irreversible Dual–Miller cycle (DMC) with late inlet valve closing (LIVC) version. Energy, 54, 285-290. Heywood, J. B. (2018). Internal combustion engines. New York: McGraw-Hill. Hohenberg, G. F. (1979). 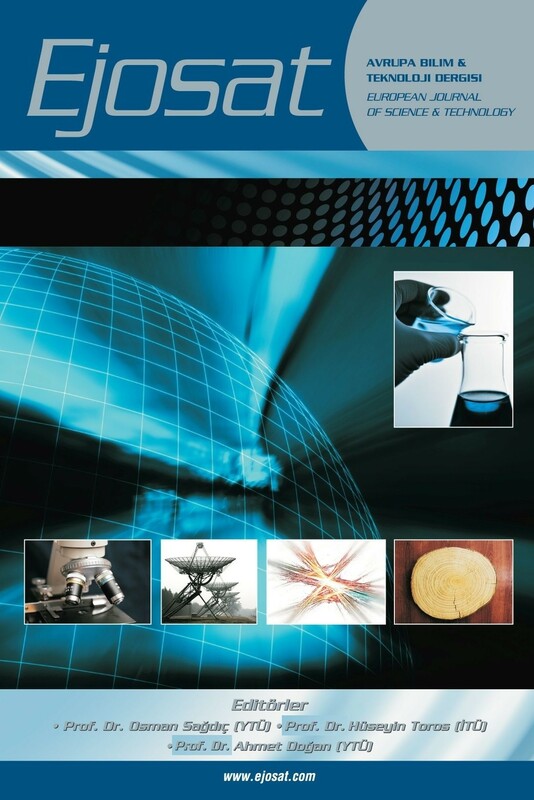 Advanced approaches for heat transfer calculations (No. 790825). SAE Technical paper. Kaushik, S. C., Tyagi, S. K., & Kumar, P. (2017). Finite time thermodynamics of power and refrigeration cycles. Springer International Publishing. Otto, N. A. (1887). U.S. Patent No. US365701A. Washington, DC: U.S. Patent and Trademark Office. Özdemir, A. O., Kılıç, B., Arabacı, E., & Orman, R. Ç. (2018). Effect of mean piston speed and residual gas fraction on performance of a four-kurse irreversible Otto cycle engine. Scientific Journal of Mehmet Akif Ersoy University, 1(1), 6-12. Wu, C. (2002). Intelligent computer based engineering thermodynamics and cycle analysis. New York: Nova Science. Wu, Z., Chen, L., Ge, Y., & Sun, F. (2017). Power, efficiency, ecological function and ecological coefficient of performance of an irreversible Dual-Miller cycle (DMC) with nonlinear variable specific heat ratio of working fluid. The European Physical Journal Plus, 132(5), 203. Wu, Z., Chen, L., Ge, Y., & Sun, F. (2018). Thermodynamic optimization for an air-standard irreversible Dual-Miller cycle with linearly variable specific heat ratio of working fluid. International Journal of Heat and Mass Transfer, 124, 46-57. You, J., Chen, L., Wu, Z., & Sun, F. (2018). Thermodynamic performance of Dual-Miller cycle (DMC) with polytropic processes based on power output, thermal efficiency and ecological function. Science China Technological Sciences, 61(3), 453-463.